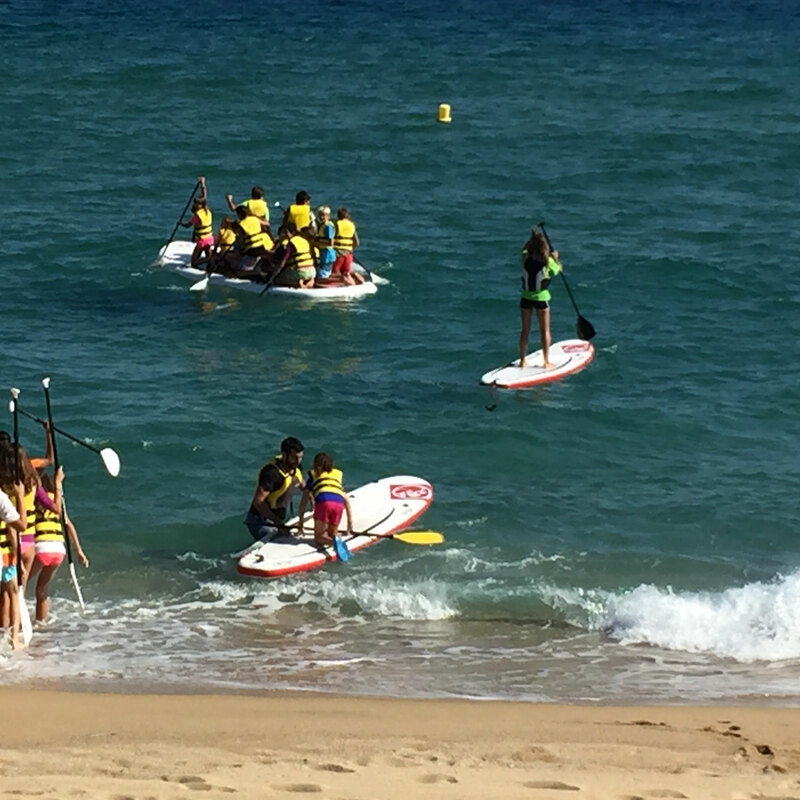 L’Escola del Vent of Badalona offers a lot of different courses related to the sea. Thaks to the outstanding team of teachers and the best equipment you will be able to enjoy an easy, healthy and unforgetable introduction to the activity you choose. And if you are looking for a custom-made baptism at sea, just get in touch! It is said that windsurfing is one of the most addictive sports ever, and we agree, because enjoying the wind and the waves by yourself is a magic experience. 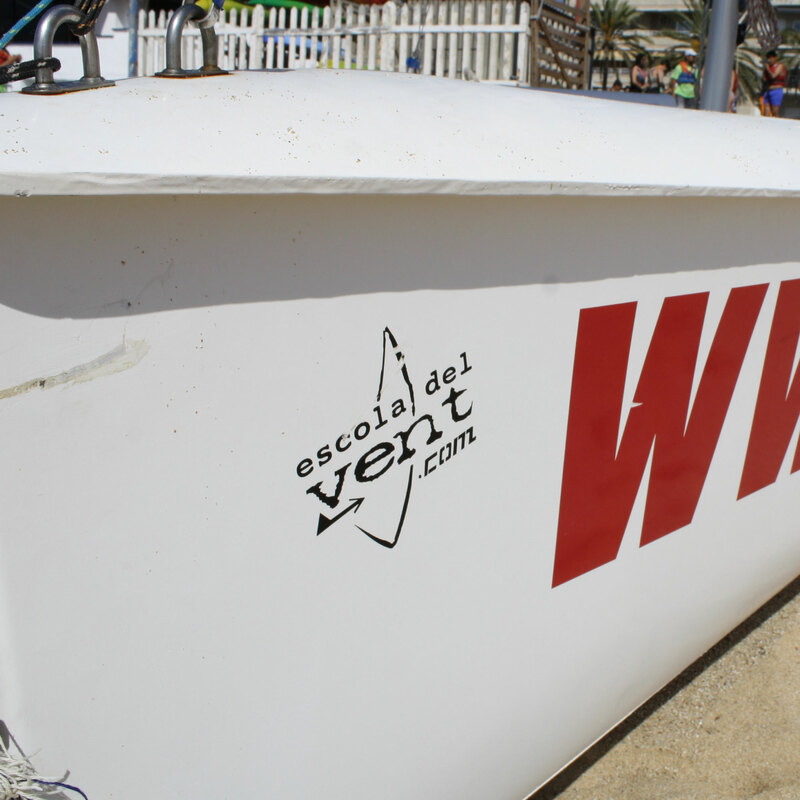 At Escola del Vent we are experts in windsurfing and we have a large number of people in this modality. We could never stop saying wonderful things of a sport we are crazy about, but we think it is you the one who has to give it a go, don’t you think? 10h. course during 5 days: 2 hours a day during weekends or workdays. Time: from 10h to 12 h, from 12 to 14 h, from 14 to 16 h, from 16 to 18 h, from 18 to 20 h.
Enroll. I want to know more! Enjoy the sea sailing. 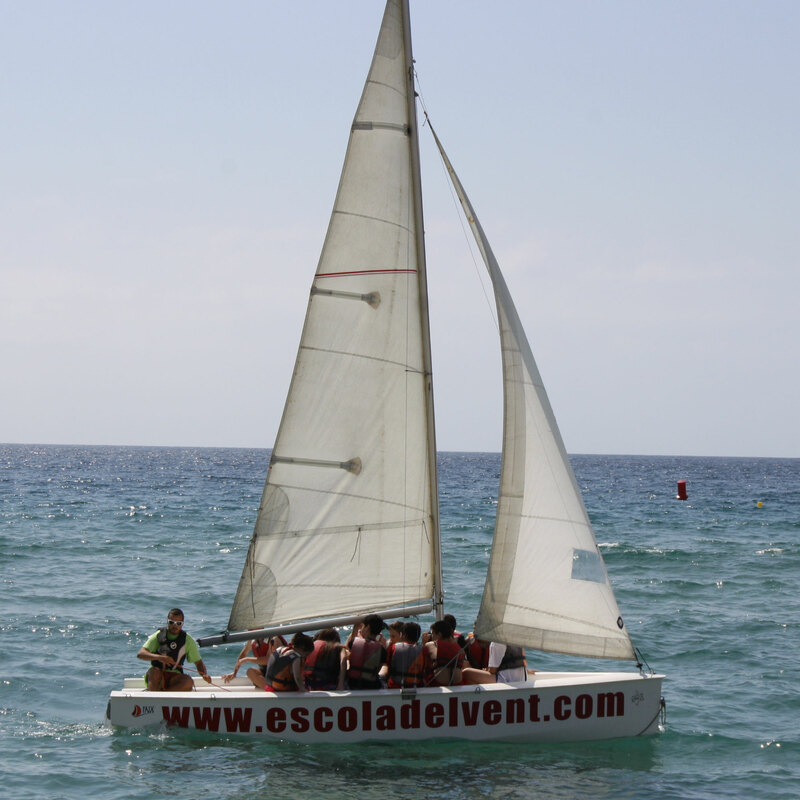 At Escola del Vent you will learn how to sail in a dynamic and enjoyable way. Our courses are set according to the levels of the Catalan Sailing School (ECV) going from beginners to the level of competition with qualified instructors. It is aimed at students who are older than seven and want to learn the secrets of an historical sailing modality rooted in the Mediterranean culture. The sea is calling you. Can you hear it? Just go! Let’s go sailing. I want to know more! It is aimed at five to fourteen-year-olds. The swimming courses taking place in our installations allow for exploring new sensations. For the little ones, it consists in losing the fear of water and getting introduced in the water world with safety, for the more grown-ups, in developing their motor skills in a different environment and learning how to swim correctly. We offer confidence and technique to all our pupils under our specialised instructors’ guidance. 5h. courses during 5 days. 1 hour a day, workdays. Timetable: from 17:15 to 18:15 h or from 18:15 to 19:15 h.
From June to August: minimum 3 pers. Ideal. I want to know more! From the Polynesian islands to Escola del Vent. Stand Up Paddle (SUP) consists in paddling standing on a big surfboard. You can either paddle on flat water or surf big waves. 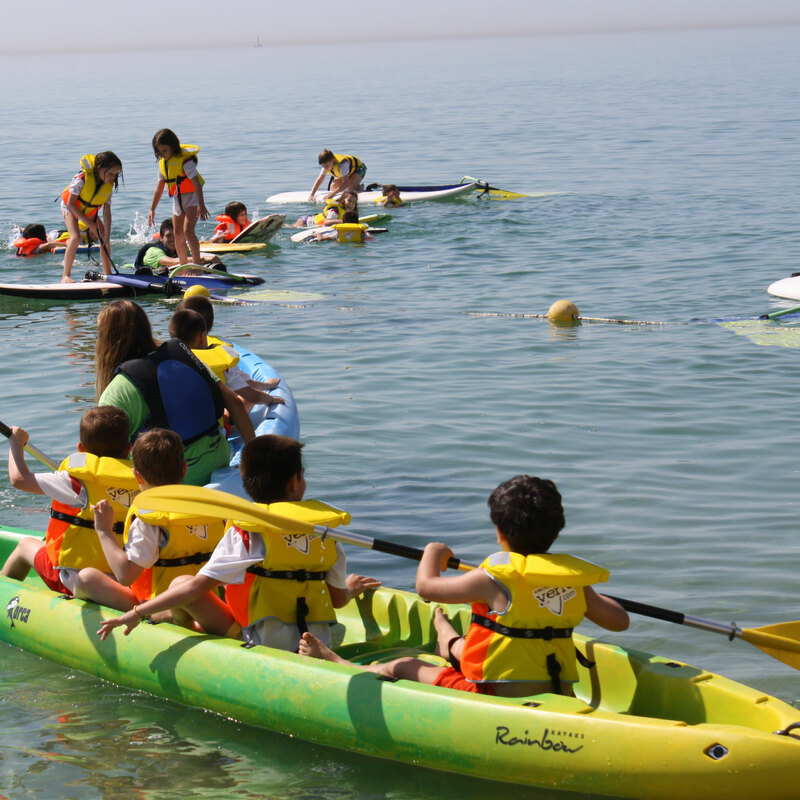 It is a modality accessible to everybody that allows you to enjoy the sea and practise a very complete physical activity. Once you discover it, you will never want to give it up. I love it. I want to know more! It is well known in California and Hawaii. The feeling of adrenalin and happiness experienced when surfing a wave is indescribable. If you have always wondered how it feels to ride a wave or even if you are an experienced surfer wanting to improve your technique, at Escola del Vent you will find specialised instructors that will help you fulfil your dream. Stop just watching from the shore, now it is your turn. transport with safety and technical resources. A great opportunity, isn’t it? I am interested. I want to know more! Everybody remembers their first approach to the sea as a navigator. 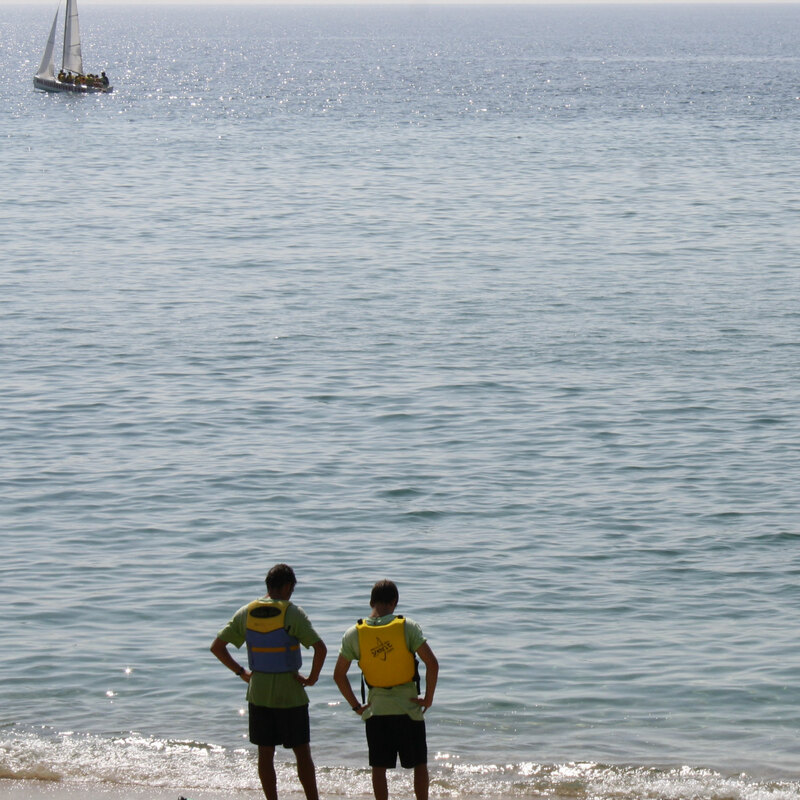 At Escola del Vent we want to make this experience unique and we offer a wide variety of activities following the standard levels of the Catalan Sailing School (ECV) adapted to all ages. Furthermore, you can also enjoy our baptism at sea as a company activity.